LEGO brick inspired original design with razor sharp graphics. All parts are accurate and to scale 1414 studs. Based on actual official elements and colors. The grilled tiles illustrate watch and phone battery status. 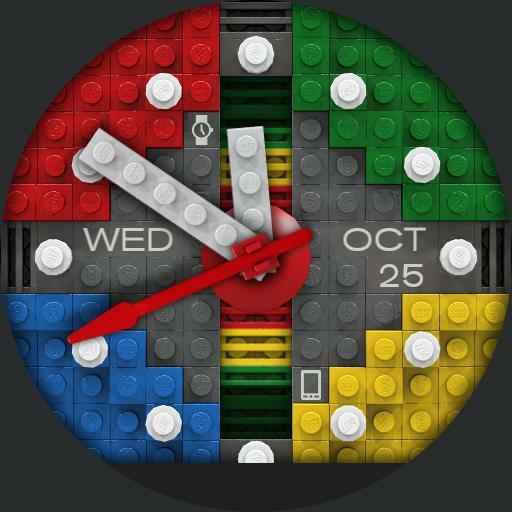 Day of week, month and date displayed on tiles. Unique ambient mode included as well.